Back2Roots Retreats is the mutual heart child of Brooke Elliston and Lara Zilibowitz. Inspired deeply by the ancient and authentic teachings of Yoga, they aim to inspire people to deepen their connection to self, listening to the innate intelligence that takes us beyond conditioning to the innermost quality of consciousness, where true freedom and joy resides. Lara has a long-standing passion for creative expression through the body and was first introduced to yoga at age 16. Movement and creativity became the keystones in her own quest towards holistic health and she revels in the opportunity to share these learnings with her students - through vinyasa, AcroYoga, Thai massage, art making and many more somatic meditations. 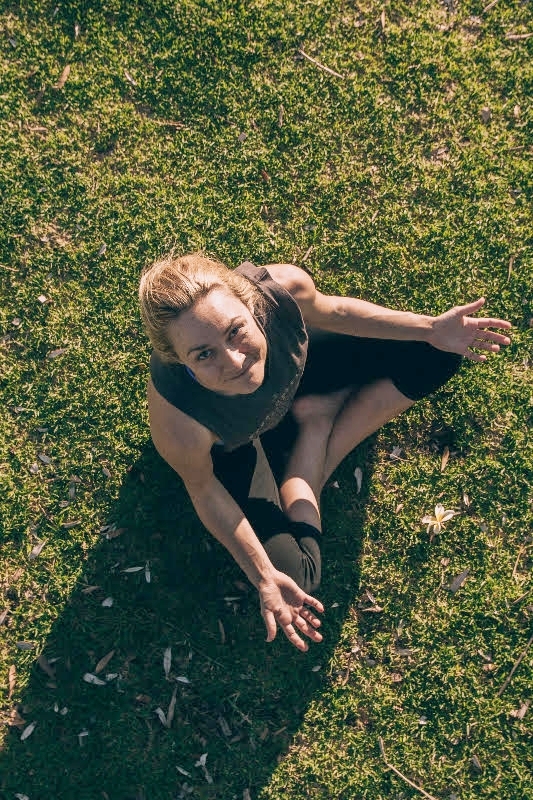 She has become known for her fluid and dynamic yoga teaching style, coaxing students to get out of their head and drop into their feeling, intuitive body. What results is a profound breath-per-movement meditation of 'flow state', inspired by the teachings of her mentor, vinyasa trailblazer Shiva Rea. Lara teaches public classes at BodyMindLife studios in Sydney, is an ambassador for lululemon athletica and Wanderlust festivals, an assistant to global movement alchemist Shiva Rea, as well as being a prolific ceramicist (larazceramics.com) and contributing editor for delicious. Magazine. With a background as an actor and physical theatre performer, Julia is well versed in the power of movement to express, to help us connect, and ultimately to heal. Julia has over 500 hours of Yoga Teacher Training behind her under the guidance of globally renowned teachers including Shiva Rea, Maty Ezraty, Simon Park, and Noelle Connolly. Her classes are a smooth flowing Vinyasa meditation, with creative and intelligent sequencing, guiding the body to open and strengthen while heart, mind, and soul are reinvigorated, refreshed, and reminded of the wonder that it is to be alive. Under the guidance of mentors and soul-sisters Lara and Brooke, Julia offers her whole heart, full smile, and every lanky limb in service of Back2Roots retreats and immersions. Brooke grew up barefoot and by the sea, two traits which remain distinctive of her character and way of life today. A surfer, she spends plenty of time in the ocean, a love symbiotic to her way of life in yoga. Brooke has been taught and guided by some extraordinary teachers, yoga schools and swamis; most notably studying the ancient teachings of Tantra Yoga extensively in Thailand, which are the underpinning of her teaching style. She enjoys weaving the threads of traditional teachings into a vinyasa style practice to offer a slow, strong flow - a deep burn of sensory explosions, with a mellow approach. Brooke has a dedicated practice and is constantly driven to explore and stay curious. She teaches from a place of embodied experience and has a love for speaking to the intricacies of body, prana and breath. She is a yoga and meditation teacher at BodyMindLife studios in Sydney, a yoga therapy teacher and former litigation Lawyer. Benny spent 5 years living in India, learning to play an incredibly sacred and unique instrument (1 of 6 in the world!) known as Nidra Anantar or Sound Bed. The bed is a rosewood acoustic instrument in the shape of a table, with 50 steel strings underneath. The recipient lies on the table as Benny plays, with the vibration moving through the wood and into the body of the receiver. It is profound medicine, leading to deep states of relaxation, healing, lucid dreaming, astral travel and spiritual awakening. Benny offers the Nidra Anantar for one-on-one solo sessions where possible, as well as weaving his sound journeys, singing and live accompaniment throughout retreats, and Back2Roots festival appearances and workshops around the world.